'Til you've had that mood indigo. While I sit and sigh. Forgive my sentimentality. Listening to the hopelessly obscure Live at the Sni-Blue Lounge album makes me misty even in the best of times. The audience chatter and relaxed performance by a mid-'70s version of the Scamps transport me to an era in which the Kansas City jazz scene had long since peaked but still boasted many of its most illustrious legends. Even in the late '80s it was possible to catch the likes of Jay "Hootie" McShann, Claude "Fiddler" Williams, Speedy Huggins, Priscilla "Rock and Roll Mama" Bowman and Sonny Kenner in area clubs. Even the names of these musicians were great. The owner of another wonderful name- Oscar "Lucky" Wesley- died last Saturday. The bassist and vocalist's most notable gigs were with McShann, the Five Aces and the Scamps. As I recently noted at Plastic Sax, my Kansas City jazz blog, I last saw Wesley on February 27. Alarmingly frail, he struggled to participate in a chat with Ben Kynard and Sellie Truitt. An otherwise fine history of the Scamps makes no mention of the Live at the Sni-Blue Lounge album that features Wesley. It probably dates from the mid-'70s. A 23-track British compilation of the group's (pre-Wesley) late-'40s sessions is the only commercially available Scamps title. Kansas City Click: Maynard James Keenan's Puscifer is at the Uptown Theater Wednesday. Kim Sivils and Steve Rigazzi serenade diners Thursday at Grand Street Cafe. I should be so lucky when I catch Metheny and his robots in May when they perform eight miles from my home in Kansas. Oscar "Lucky" Wesley of Kansas City jazz mainstays The Scamps died Saturday. Kansas City Click: Clint Ashlock and Megan Birdsall perform at the Blue Room on Monday. Alex Chilton gave me the creeps. In the two or three times I saw him perform in the late '80s, his reputation as a dark presence overshadowed his sporadic brilliance as a musician. Sordid stories about Chilton's recent behavior were more interesting than the music the cult hero was making during that era. Chilton then favored deliberately amateurish Slim Harpo-style swamp rock and odd interpretations of standards instead of the classic power pop his fans so desperately desired. "Volare" is typical. It's on the out-of-print High Priest. His musical choices make more sense in hindsight, but I sure didn't get it back then. In fact, I felt cheated. I even wondered if an impostor was on stage the first time I saw Chilton. As has been noted by hundreds of music blogs, Chilton died last week. Johnny Maestro of The Crests and Brooklyn Bridge died Wednesday. How is it that many of the people who clamor to praise Goldfrapp wouldn't be caught dead listening to pop music by the likes of Shakira, Pink or Katy Perry? The difference is negligible. Tim Finn chats with Wanda Jackson about her collaboration with Jack White. I recently rediscovered Lone Justice's "Sweet, Sweet Baby (I'm Falling)". The song still gives me chills in spite of Jimmy Iovine's dated production. Kansas City Click: The Original Wailers come to the VooDoo Lounge Friday. Joel Francis previewed the show for the Star. Details are sketchy, but Slim Thug supposedly headlines at Memorial Hall on Saturday. Mike Moreno and Peter Schlamb perform Sunday at Jardine's. New Orleans soul and blues vocalist Marva Wright died yesterday. She was a longtime staple on Bourbon Street. Wright didn't tour much, but tens of thousands of tourists saw her perform in the French Quarter. The amazing "Let Them Talk" proves that Wright could wail with the best of them. It's taken from her strong 2000 album Marva. See Wright in action here. While I can't locate the image, the original art for Wright's debut album featured the voluptuous singer in a provocative pose on a motorcycle. Posters of the album decorated the back rooms of hundreds of record stores in the early '90s. Complaining about the inadequacies of commercial radio is akin to criticizing the menu at McDonald's, but I'm disappointed that the new format of Kansas City-area 103.7 The Dam is dominated by familiar hits from the likes of Drowning Pool, Foo Fighters, Godsmack, the Offspring, Pearl Jam, Stone Temple Pilots and Weezer. I like most of that stuff, but it's not exactly fresh. I'm enjoying the new album by Manu Katche. Here's the ECM's online player. My favorite new song is a throwback jam. Leela James' "Tell Me You Love Me" sounds like Shirley Brown fronting the Isley Brothers. There's absolutely nothing wrong with She & Him's cover of "Ridin' In My Car." Even so, it only serves to deepen my appreciation of Al Anderson. Dinner and a Movie, Brother Lynch Hung's new album, was released this week by Kansas City's Strange Music. I'm back from Italy, where I heard teenage girls sing along to Ke$ha and middle-aged cab drivers blast the Black Eyed Peas. Kansas City Click: Ludacris opens for the Black Eyed Peas at the Sprint Center on Wednesday. Howard Iceberg is among the artists appearing at the Czar Bar on Thursday. Get Off On the Pain EPK stream at YouTube. Rodney Crowell altered my expectations of country music. The Texan practically jumped out of his skin as he warmed up an audience on hand to see Dwight Yoakam in the late '80s. I found Crowell's simultaneous embrace of several different styles of music exhilarating. The only thing I recall today about Yoakam's appearance was the reaction my date had to his skin-tight jeans. The memory of Crowell's manic energy, however, stayed with me. Get Off On the Pain, the impressive new album by Gary Allan, has that same dizzying effect on me. The album includes nods to Roy Orbison, The Byrds, Lynyrd Skynyrd, Bob Seger, Marty Stuart and The Mavericks. Somehow Allen manages to condense these influences into a sound that's tolerable to today's fickle country radio programmers. It seems like an impossible feat, but Allan's pain songs appeal to both Webb Pierce fans and soccer moms. Demencha provides a download of Ron Ron's 1995 album Ironic. Unfortunately, it's in WMA format, so I'm unable to hear how it compares to the rapper's Skitzofrinik, my #3 album of 2009. 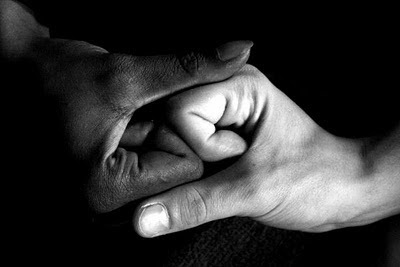 I'm intrigued by Shadowboxer, a new "jazz opera" (my words) based on the life of Joe Louis. It's no secret that I'm loopy for Esperanza Spalding. She recently performed for an NPR affiliate. I'm taking a blogger break. There Stands the Glass will resume near the end of March. The sound system blew out at a record release party I attended last month. The evening's host gamely cajoled the record label's artists into performing acoustic sets. Disaster ensued. The rappers were unable to freestyle and the vocalists couldn't sing. The result was entirely different when the laptop containing Ces Cru's music crashed Tuesday at the Beaumont Club. "We're getting organic on you because it's real f***ed up in here," admitted Ces Cru's Ubiquitious. The Kansas City hip hop duo dazzled with an a cappella set that showcased their impeccable skills and improvisational mentality. "Ces Cru unplugged!" shouted Godemis. "Who knew?" I've seen Ces Cru perform about a dozen times. I've never appreciated them more. I wish I could say the same about Steddy P.. I admire almost everything about the guy. His most recent release, Style Like Mind, was one of my favorite albums of 2009. (The list is in the column on the right.) Although he performed with a live band- something I ordinary love in hip hop- I just wasn't feeling his effort Tuesday. Poor pacing was a problem even before Steddy P. allowed the band to perform two original songs. Their effort sounded like the first rehearsal of a Limp Bizkit cover band. Maybe it was an off night. Or maybe Ces Cru's stellar appearance spoiled everything that followed. Consequently, I didn't stick around for The Flobots' headlining appearance. I was surprised that only 300 people bothered to show up for The Flobots. The concert was free and the band's breakthrough song hit only two years ago. I guess I'm not alone in thinking "Handlebars" is impossibly annoying. Step aside, Erykah Badu. Akwid's "California" is now my favorite song of 2010. Joel Francis visits the ruins of Gennett Records. His photographs are fascinating and he provides background here. Kansas City Click: Alacartoona plays the early show Thursday at Jardine's. Am I the only person not attending SXSW this year? It sure feels that way. My town is sending dozens of acts to Austin. Over thirty of them are participating in Midwasteland Takeover, an unofficial three-day showcase at the Canvas Bar & Gallery at 5th & Brazos. Here's the schedule. The Midwest Music Foundation, one of the showcase's organizers, helped put together a free compilation featuring 18 participating acts. (Grab the cover art here.) Several of them- James Christos, Hammerlord, Olympic Size and Steddy P.- have already been featured at There Stands the Glass. I also personally endorse songs by Cowboy Indian Bear and The Grisly Hand. My favorite regional artist performing at SXSW is XV. Here's the lowdown on the Kansan's official showcase. Look, I like Biggie's music. And sure, I miss him. It distresses me, however, that the 13th anniversary of the rapper's death is a trending topic while the 80th birthday of Ornette Coleman is recognized only by weirdo jazz obsessives. Coleman, one of the greatest musical minds of the 20th century, remains a vital force. I hate to be a crank, but gee whiz, how about just an iota of cultural perspective? The creepy new video for Soulcrate Music's "Electric Heavy Glow" is excellent. Kansas City Click: Kansan Sarah Buxton opens for Jake Owen Tuesday at the Midland Theater. Cover band Wonderland plays for basketball fans Wednesday at Raglan Road. Not every rock album can be Who's Next. Nor can every rock artist be Neil Young. I'm convinced, however, that without the earnest efforts of journeymen true believers like Alan Charing, it would be impossible to fully appreciate Pete Townshend or After the Gold Rush. In fact, I'd rather hear Charing, the former frontman of A.C. Cotton, perform in my neighborhood tavern than see Tom Petty play in an arena. Guys like Charing, Jack Logan and Alejandro Escovedo keep the music honest and accessible. 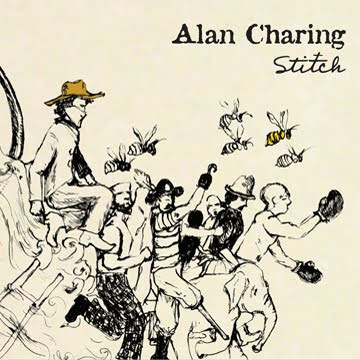 Stitch, Charing's new album, isn't fashionable or groundbreaking. It's just good meat-and-potatoes rock'n'roll. And that's plenty good enough for me. Because most of my friends loathe jazz, I usually go to jazz clubs alone. Please, pals, check out Brandon Draper's band covering Sunny Day Real Estate at Jardine's. It just might win you over. And I'm getting lonely. Kansas City jazz veterans Ben Kynard and Sellie Truitt are featured at Plastic Sax. After I heard that Mark Linkous died Saturday, I listened to Sparklehorse's Vivadixiesubmarinetransmissionplot for the first time in years. What a great album! It combines the tormented blues of Chris Whitley with the psychedelic pop of the Flaming Lips. Bossa nova star Johnny Alf has died. Jazz saxophonist and Stan Kenton alumni Tony Campise died Sunday. Ron Banks of the Dramatics has died. Kansas City Click: The Jazz Disciples oversee Monday's jam session at the Blue Room. Nashville's major labels don't release "product" until every last detail has been carefully considered by focus groups and marketing consultants. That's why country music album covers are so revealing. The art featured on the self-titled debut by Easton Corbin is no exception. The aspiring country star is seen wearing jeans and a gimme cap as he plays guitar on a porch for a dog. Those are positive indicators of the album's contents. The bad news is that the wicker-laden porch is immaculate and the pooch looks like it's never been within five miles of a pheasant. Needless to say, empty bottles and rusty trucks aren't in the picture. The manicured image projected by Corbin's handlers, however, shouldn't dissuade fans of Alan Jackson and George Strait. Corbin follows the same amiable traditional country path. And the kid is a natural. When I first heard him deliver the atrocious line "I'll hold onto those precious moments like pieces of gold," I actually teared up. "Leavin' A Lonely Town," a song worthy of Steve Earle's Guitar Town or John Mellencamp's Scarecrow, makes up for a few of the album's cliches. I strongly object, for instance, to Corbin's two contributions to the annoying trend of country songs about beaches. I hope Corbin works such Kenny Chesney-isms out of his system. If he's able to quit following fashion, Corbin has a solid chance at becoming a legacy artist. Raheem DeVaughn's new album disappointed me. I even find the Marvin Gaye tribute "Bulletproof" disconcerting. At least I have Erykah Badu's new album to look forward to. Until further notice, "Window Seat" is my favorite song of 2010. Roger Daltrey surprised me last night by upstaging Eric Clapton. Here's my review. God bless Robyn Hitchcock. Here's his delightful new video. I choked on a sweet potato fry when Blind Pilot's ""The Story I Heard" came on a tavern's sound system last night. What a song! Kansas City Click: Steddy P, the man responsible for my seventh-favorite album of 2009, plays Davey's Uptown on Thursday. An excellent pre-SXSW showcase featuring Capybara, Roman Numerals, Olympic Size, Thieves, The Grisly Hand and Dreams Are For Rookies takes place Friday at the Beaumont Club. I'm not planning to attend, however, because I object to the venue's shortsighted no re-entry policy. I love Gretchen Wilson. She plays a free show Saturday on the Power & Light stage. The woefully undervalued We Were Promised Jetpacks play the Jackpot in Lawrence on Sunday. Django this. Django that. It's only March and I'm already becoming burned out on tribute concerts and albums commemorating the centennial anniversary of Django Reinhardt's birth. It takes something special, consequently, to get me excited. Istiqbal Gathering, one of two new self-released albums by Nashville cat John Jorgenson, is one such project. While I'll always associate Jorgenson with The Hellecasters, he's been playing gypsy jazz for a while. It pays off on the ambitious Istiqbal Gathering. Recorded with Orchestra Nashville and the Turtle Island Quartet, the innovative album explores fresh concepts for gypsy jazz guitar. It's both emotionally and intellectually rewarding. "Hungaria" is taken from One Stolen Night, a relatively straightforward Django-esque quintet recording. It's very nice, but the real magic happens with the orchestra. Here's my review of a concert by cult artist Dave Frishberg. What? I can't hear you. Sevendust and Drowning Pool were loud. Here's my review. Joel Francis interviews Elena James of Hot Club of Cowtown. I get the story behind the new Kansas Blues & Jazz: Past, Present & Future documentary at Plastic Sax. Kansas City Click: James McMurtry has a lot of great songs, but none are more popular in these parts than "Choctaw Bingo". He won't get out of Knuckleheads alive if he doesn't play it Tuesday. I'm not going to lie. I'm looking forward to hearing Roger Daltrey belt out "The Real Me" one last more time Wednesday at the Sprint Center.